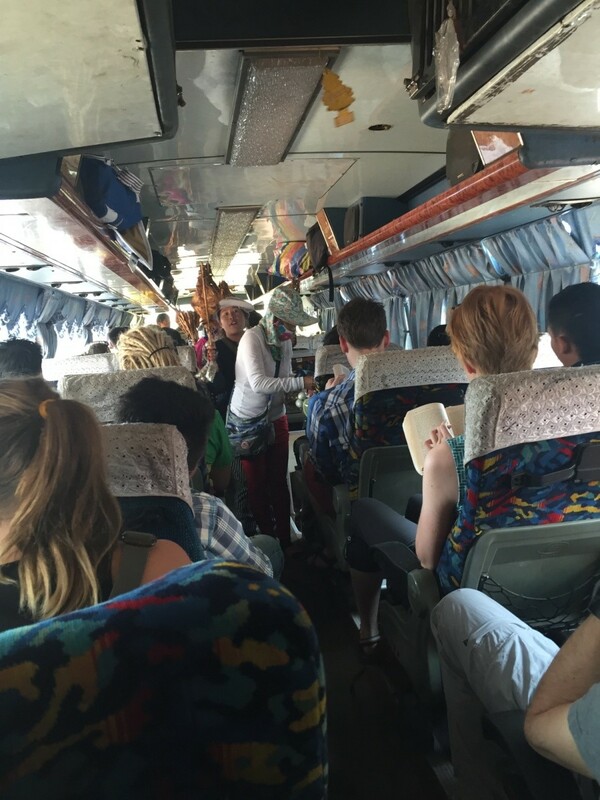 Harriet Brickhill and Jillian Lyall from Charles Sturt University bring us more of their volunteer experiences in Laos PDR in the following blog. We will be keeping you updated with volunteer and research work in Laos over the coming months. Further to our earlier report on our Australia Day field trip in Laos, on Thursday 28 January we travelled via local bus (an education in itself), to meet three other young Australian researchers and volunteers also working with Lester Burgess and the Crawford Fund. We were able to observe the various projects that they are involved in. 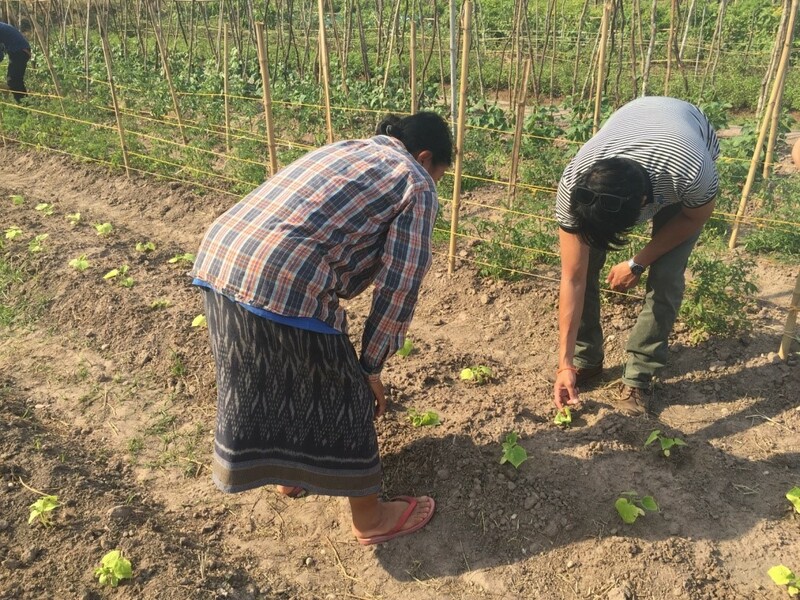 Victor is in the process of completing his PhD and is conducting his research in the Savannakhet Provincial Agriculture and Forestry Office (PAFO). 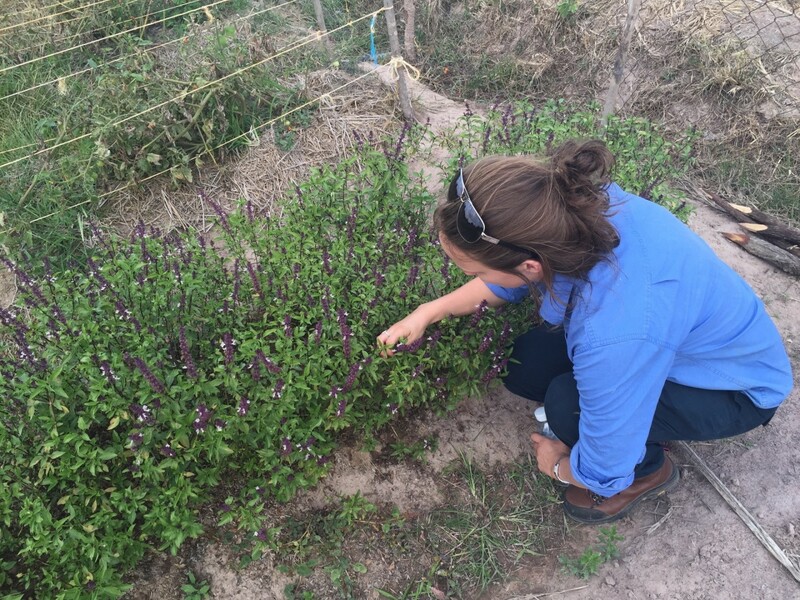 David is a New Colombo Plan scholarship recipient and, accompanied by Nina, has undertaken a survey of local farmers in the Savannakhet region. 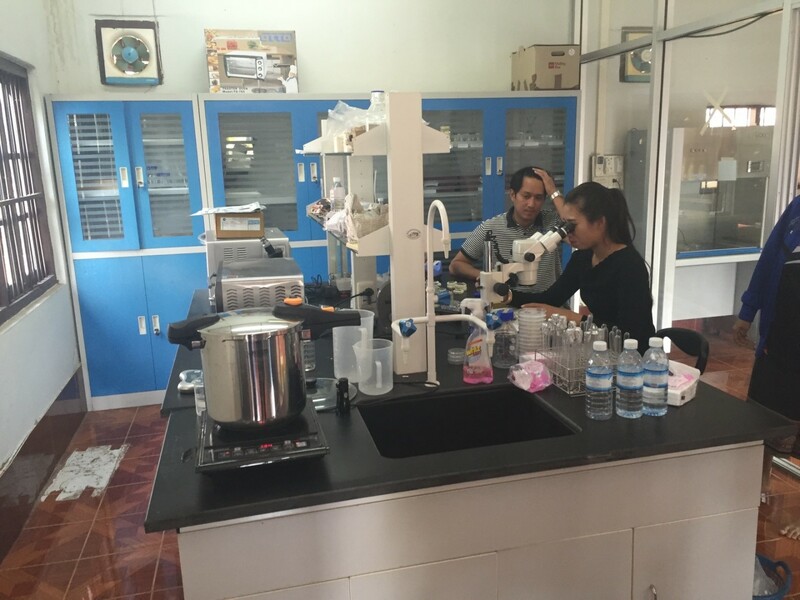 While with Victor, we were exposed to our first working laboratory outside our university, but for us, the most enjoyable thing was to watch Victor developing and enhancing the laboratory skills of his two Laos colleagues, Kaisone and Thui. We were then taken under the wing of Kaisone and were invited to her home to experience a full-on karaoke-blasting BBQ with her friends. We were thankful for her hospitality and warmth—welcoming us into her own home and showing us the local way of life was an experience we are not likely to forget. Another great experience was our visit to Dr Phoudalay’s rice breeding research centre. Dr Phoudalay runs the Thasano Agricultural Centre, which focuses on rice breeding but also successfully manages several other enterprises. Upon our arrival, we were immediately seated and served delicious sticky rice, sweet potatoes, coconut and other delicacies. We found that every time our cup or plate was empty, it was immediately refilled due to their exceptional hospitality. Still new to Laos culture, and not wanting to seem rude, we kept eating and eating until we realised they would continue to refill all day! It was not until we physically could not fit another morsel in that we rolled our way down to the fields. Along the way, Dr Phoudalay freely answered our every question and gave great insight into Laos farming systems. Dr Phoudalay made a huge impression on us as a successful woman in agriculture. We saw her as an incredible role model for us personally as women in agriculture, and can see that her influence also inspires many women in Laos. It was a very rewarding experience to meet like-minded young people involved in agriculture (both Australian and Lao) and this trip has left us very excited for the remainder of our time in Laos.